When you’re eating gluten free, snacks and quick meals can be hard to come by. This recipe makes 15 bars that you can wrap up and take with you so you don’t need to worry about being hungry at snack time! It’s also incredibly versatile so be creative and add your own favorite ingredients to make a tray of chewy take-a-long bars that taste great and are stuffed full of good things. We originally posted this recipe a year ago but since it has been getting quite a few hits on pinterest lately, we thought we’d repost it for our new readers and followers! 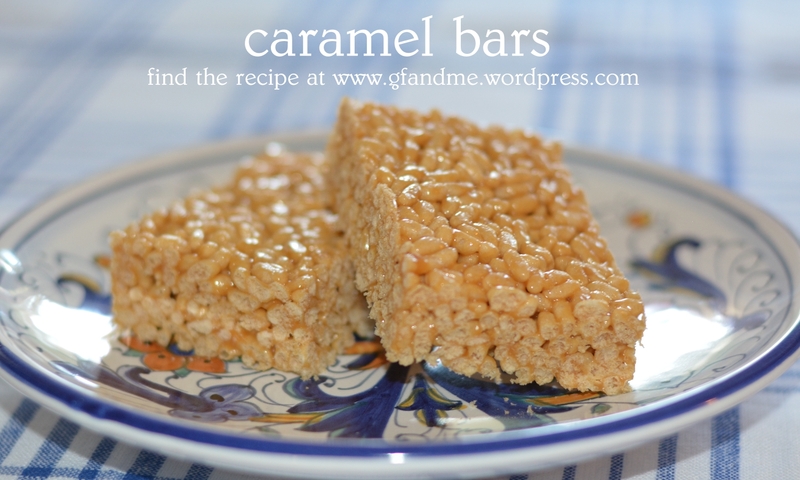 If you like caramel corn, you’ll love these super-easy, super-tasty bars. We usually eat them plain but for a special treat you can add a layer of melted chocolate, popcorn or dried fruit. They can even be cut or sculpted into fun holiday shapes – think leaves or jack-o-lanterns for fall – and decorated with icing and candy. 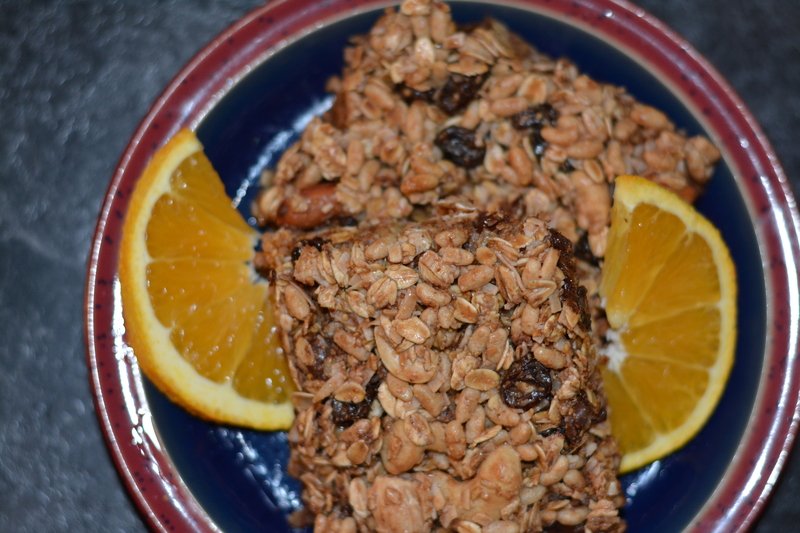 This recipe is adapted from one we found on the inside of a Kellogg’s Rice Krispies box years ago.